Born in 1988, Tokwe is one of the matriarchs of the Camp Jabulani herd. 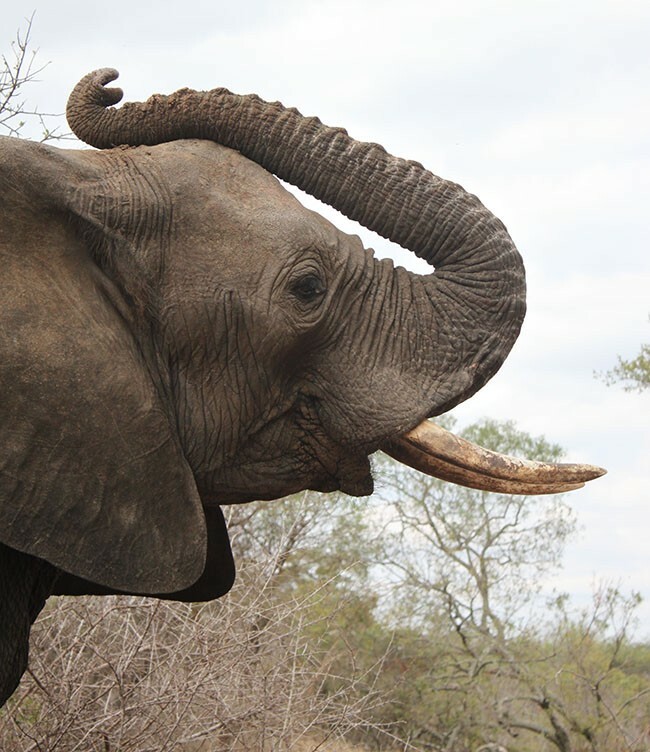 She was one of the original elephants rescued from Zimbabwe by Lente Roode and her team at The Hoedspruit Endangered Species Centre (HESC). The elephants arrived at The HESC prior to the establishment of Camp Jabulani. When Jabulani, an orphaned baby elephant, was introduced to the herd approximately 3 months after their arrival, it was Tokwe who accepted him. This moment will forever be remembered by those who were there – she put her trunk over his head, and into his mouth. This was so significant considering Jabulani had been rejected over and over again by the wild elephant herds on the reserve. There was not much hope that he would ever be able to integrate with his own kin. Tokwe is an extremely intelligent elephant. One night she joined a wild herd on the Kapama Reserve, but was back the following morning. 22 months later, on 19 August 2006, she gave birth to baby Limpopo. 3 years later, she gave birth to Pisa. 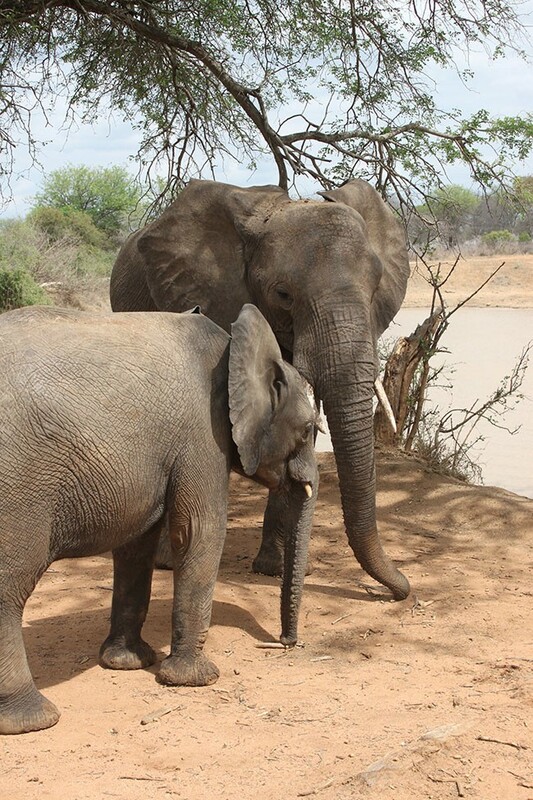 This mother of two is also the ‘foster mother’ of Kumbura, another rescued baby elephant. Clearly motherhood suits her, not surprising considering her nurturing, calm and relaxed demeanor. Tokwe does not often participate on walks, but instead stays behind with Fishan and the younger elephants. Although she is the head of the herd, she is smaller than Setombe. Her concave back, wrinkled skin and small tusks distinguish her from the rest.